Run Across America. Fight Cancer. 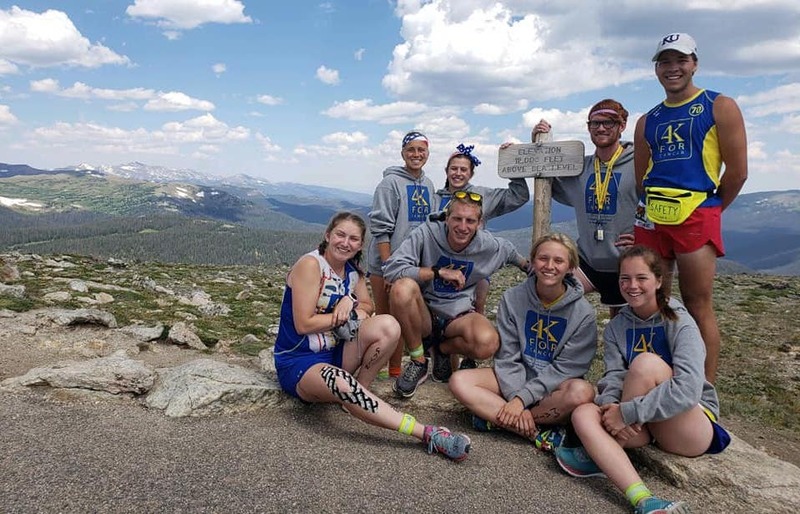 Join a group of young adults on a relay run across America this summer to raise funds and awareness for young adult cancer. Pick from 3 routes that venture 4,000+ miles across America over 49 days, June 16 – August 3, 2019. Our program is for young adults, 18-25 years old. Looking for those with a love for adventure and giving back! Run anywhere from 6-16 miles per day (avg. 10-12 miles) in a relay-style format. I don’t know… are you? Just Kidding! Support vehicles will carry gear and luggage. They will also help facilitate the relay too. All the swag! 2 pairs of running sneakers, 3 running jerseys, 2 pairs of running shorts, and a branded t-shirt, long sleeve shirt, sweatshirt, and duffle bag. Safety is important too! You’ll be given a road ID and two reflective bands at orientation. What type of service events can I expect? We have 5 different leadership positions – Director (2), Leg Leader (6), Trainer (1-2), Mission Coordinator (1), Media Coordinator (1). Read our leadership guide to learn more about each position. It’s funny, you go in with all these expectations of the miles you’ll run, the places you’ll go, and the people you’re going to run with. You get so caught up in the adventure, that you overlook what’s really going to happen. You are going to grow. You are going to meet people along the way who have been through such heartbreaking and beautiful things, that it will give your life a perspective that you cannot imagine. You will go places that change your life, your view, and your outlook on what matters. You will be stretched, and challenged in ways you can’t imagine. But when you get to that finish line all those days later, you will be different. You will have changed for the better. 4K is the ultimate dual degree in changing other people’s lives and changing your own. You’ve heard the saying before, but the 4k can be summarized in only one way…people change people. The 4K means a million different things to me. Being a part of a team with 25-30 other people who have been in your shoes and know how hard it is to face cancer makes you feel like you can face those emotions and become stronger. It is humbling to know that with every footstep you take, you are not only growing as an individual, you are also inspiring so many people to get active and healthy. Most of all, you are telling survivors that you believe in their fight. 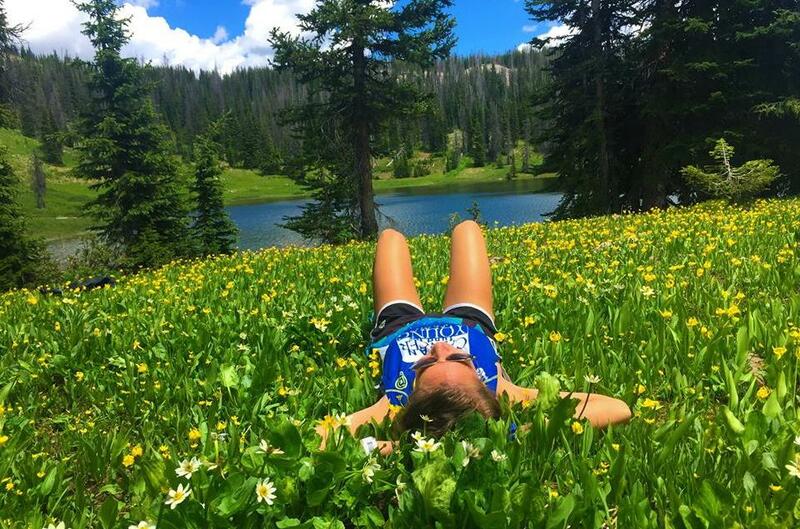 Where there used to be a cynical, somewhat detached girl, there is now someone who knows there are so many good, honest people, and beautiful places. I have become someone who is slightly less scared to show emotions and who is completely attached to a team I spent an awe-inspiring summer with. The petty things that once bothered me seem so insignificant. When you get the opportunity to see people battling for their lives, with a smile on their face, you really learn to appreciate everything you’re given. The friends you create on this journey, no matter how long you don’t see them or don’t get to talk to them, where their lives are changing without you, these bonds you have created will never falter. You’ll meet people on the run with such different views, see places you would have never imagined in your wildest dreams existed in America, and you’ll take it in, it may be overwhelming at times, but when you run across that finish line, you’ll learn more about yourself, about your abilities, about what you cherish in relationships, leadership, and come to terms with just how much you as an individual can be an impact in someone else’s life.